Welcome to the Meade Senior High Class Of 1988 web site. To join, please click on your name under "Classmate Profiles" and follow the instructions to create your own password and profile. Any Meade alumni whose name is not listed under "Classmate Profiles" is certainly welcome to join our site whether you graduated with us or not. We've already had a few from '86, '89 and beyond sign up! Just email us and we'll add your name to the list! When you are added, your name will be listed at the very bottom of the Classmate Profiles list, so don't forget to scroll all the way down to find it. PERRY JR., Edward W. aka "Tubby" or " Rico", age 43 went home to be with the Lord on December 30th,2011. He was born October 25th, 1968, in Vieques, Puerto Rico, as the beloved son of Edward and Rosa Perry Sr of Hamilton. He leaves behind to mourn: children Gabrielle Perry, Edward W Perry III & Jaleesa Perry of Baltimore, Maryland. His beloved grandmother Ruby W Perry of NC. He also leaves two brothers; Philip (Shanti) Perry of Charlotte, NC and Anthony Perry of Hamilton. Lifelong best friend Ricky Sconion of Akron, Ohio. Tubby leaves behind 8 nieces and nephews and numerous cousins, family and friends from Charlotte, Baltimore and Ohio. He is proceeded in death by his grandfathers , Isiah Perry Charlotte, NC and Sabino Gomez from Tampa, Florida. He will be laid to rest in Charlotte, NC. Visitation arrangements made by Green ,Hall and Jordan Memorial Chapel, Hamilton. Service will be at Northeast SDA Church, 827 Tom Hunter Rd, Charlotte, NC 28213. It is with great sorrow that we announce the passing of our beloved teacher and class advisor, Mr. John Smith. Mr Smith passed away some time during the night of November 30, 2010. Please keep Mr. Smith's family in your prayers, and let us all remember what a great teacher he was. On December 1, 2010 John F. Smith, Sr. beloved husband of Elsie Smith, loving father of John F. Smith, Jr. and his late wife, Robin Smith, Jessica Ellen Hawkins wife of Richard Hawkins and JoAnne Robin Smith. Mr. Smith is also survived by brothers Gail Smith and Jeffrey Smith, sister Rhonda Titus and grandchildren Erica Hawkins, Allison Hawkins, Lila Hawkins and Cullen Smith. Friends may call at the Slack Funeral Home, P.A., 3871 Old Columbia Pike, Ellicott City, MD on Sunday, December 5th from 2-4 and 6-8PM. 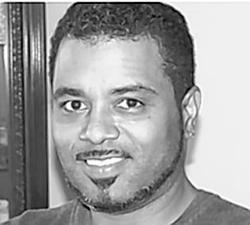 On October 22, 2009, NELSON DAVIS, III, 40, of Severn, passed away in Baltimore. Born, March 2, 1969 to the late Edna R. and Nelson Davis, Jr.; he is survived by his son, Jordon Symanek, his sister, Sonya E. Davis and a newphew, Bryon Davis. 4:00PM to 6:00PM on Wednesday, October 28th, 2009 at Singleton Funeral & Cremation Services in Glen Burnie, MD. Please pray for the Davis family in their time of mourning. Edward Joseph Byrne, 83, of Annapolis, died Sept. 1 at his residence in Annapolis. He was born July 14, 1926, in Louisville, Ky. He graduated from St. Xavier High School in Louisville, earned a B.B.A. from St. John's University and an M.B.A. from New York University, and did additional studying at the University of Maryland and Bowie State University. He was a teacher in Brooklyn, N.Y., Bronx, N.Y., St. Mary's County; and Louisville; and was a teacher and assistant principal at Annapolis, Arundel and Meade High Schools. He was a member of St. Mary's Roman Catholic Church, where he served as a Eucharistic Minister, Elks, Fleet Reserve and Eastport Democratic Club, and was on the board of directors at Fairwinds in Annapolis. He enjoyed all types of athletics. He was preceded in death by his first wife, Theresa Hanlon Byrne. They were married in 1967 and she died in 2000. He is survived by his second wife, Mary Barbara Byrne of Annapolis; stepsons, Robert, Scott and Timothy Smith; stepdaughters, Barbara Smyth, Christine Smith and Tracy Smith; a brother, James M. Byrne; and two grandchildren. A visitation will be held from 2 to 4 p.m. and 6 to 8 p.m. Friday, Sept. 4 at Taylor Funeral Home, 147 Duke of Gloucester St., Annapolis. A Mass of Christian burial will be held at 9 a.m. Saturday, Sept. 5 at St. Mary's Catholic Church, 109 Duke of Gloucester St., Annapolis. Interment will be in Hillcrest Memorial Gardens. I hope you all will join me in remembering what a nice person Lily was and pray for her family in their time of mourning.